Paratha is a common menu for breakfast, lunch or dinner in every Indian kitchen and especially northern region. 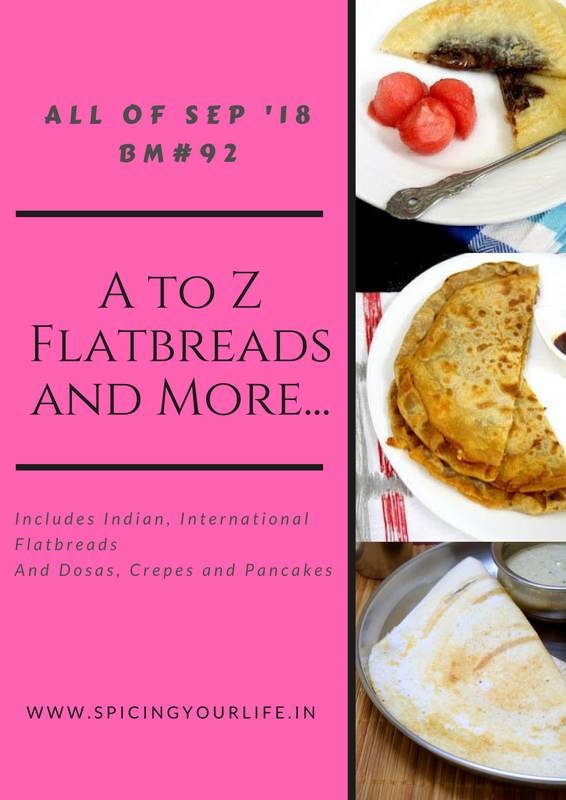 There are huge varieties of or number of parathas. Just cook the paratha and serve along with tea, coffee or curd. In different category or possibilities of paratha i tried Banana Paratha, Green Chili paratha, Papad ka Paratha, Boondi Ka Paratha, Papita paratha, Mawa paratha and many more. But this time I shared another version of paratha i.e. Achari Paratha. It is a quick version because I just used homemade mango pickle to stuff in this paratha as stuffing. To make this paratha, just knead regular dough and stuffed with crushed mango or chili pickle and served with curd or tea. Personally I prefer tea with this paratha recipe. When you don’t have enough time to prepare stuffing, try this paratha and share your thoughts or experience with us. Combine flour, salt and water together and knead dough in a simple way like chapati. Divide the dough into equal portions and roll each portion. Spread 1 tbsp crushed pickle evenly and folds the edges tightly. Roll out the paratha into a flat disc using rolling pin and flour. Heat the tawa and place the paratha on hot tawa. Cook the paratha on medium flame. Grease with ghee or oil and roast it from both sides till to brown and crisp. Prepare more parathas in the same way. Serve quick achari paratha with curd and butter. Achari Paratha is a stuffed paratha recipe, stuffed by crushed mango pickle and served with curd or tea. Combine flour, salt and water together and knead dough in a simple way like chapati. Divide the dough into equal portions and roll each portion. Spread 1 tbsp crushed pickle evenly and folds the edges tightly. Roll out the paratha into a flat disc using rolling pin and flour. Heat the tawa and place the paratha on hot tawa. Cook the paratha on medium flame. Grease with ghee or oil and roast it from both sides till to brown and crisp. Prepare more parathas in the same way. Serve quick achari paratha with curd and butter. I made achari paratha too and fell in love with it. The pictures are tempting me to make them again. Nice pick, Preeti. Am sure this tangy achari paratha will definitely tickle my tastebuds without any fuss. And this paratha can be our immediate favourite. Well done Preeti. Such a tasty and quick paratha! Lip smacking dish! OMG! Preeti, you are tempting me with your awesome snaps. The pickle filling must go so well with parathas and.make it wonderfully spicy..
Stuffing the paratha with pickle is a great idea , must be making the paratha so delicious ! I have always added the pickle spices to the dough but never stuffed . Must try this tongue tickling paratha . Adding achar to the dough while rolling is a great idea. These kind of parathas are great to carry when one is traveling. No need to carry the pickle on the side and worry about it spilling. Achari paratah looks yum and tasty. Drooling. This is surely very quick and a wonderful quick paratha to make. Awesome idea preeti. I too made one similar paratha for the letter U but with grated pickle / thokku. This one with mango pickle sounds so yum and apt for travel. I have to try achari paratha sometime. I love my parathas with achar and this will save me a step of making a side dish. I am craving for some right now!